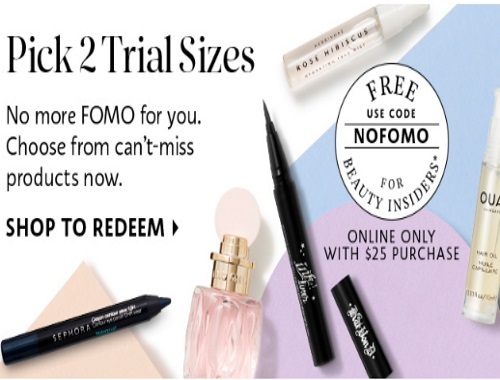 Sephora has a nice freebie right now! 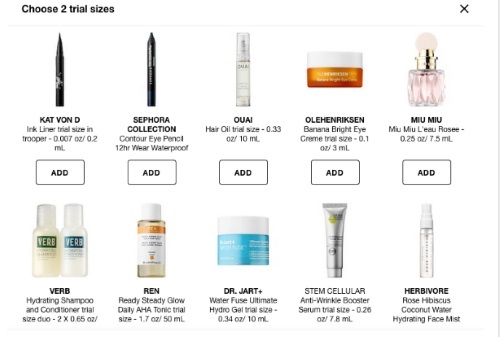 Beauty Insiders can get 2 Free trial size samples with any $25 order online! There are lots of nice ones to choose from, as you can tell in the image below. I got the Ren skincare since it's a 50ml bottle and the Verb shampoo and conditioner. This code is multi-use too, so if you want others you can place multi orders! Yay! Enter the promo code NOFOMO at checkout to add the samples to your shopping cart. Quantities are limited.